Inspired by the sense of romance and mystery of gypsy tales, the beautiful Gypsy Dreamer collection by ChloBo is new for AW16. With mixed metals, Eagle Eye and Black Onyx gemstones, this magical collection will have every free spirit feeling spellbound. 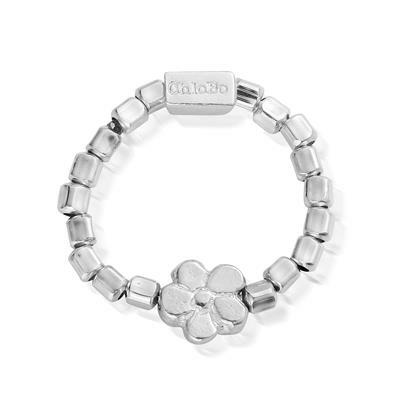 This sweet and simple ring, made from 925 Sterling Silver, features cube beads and a dainty flower bead.